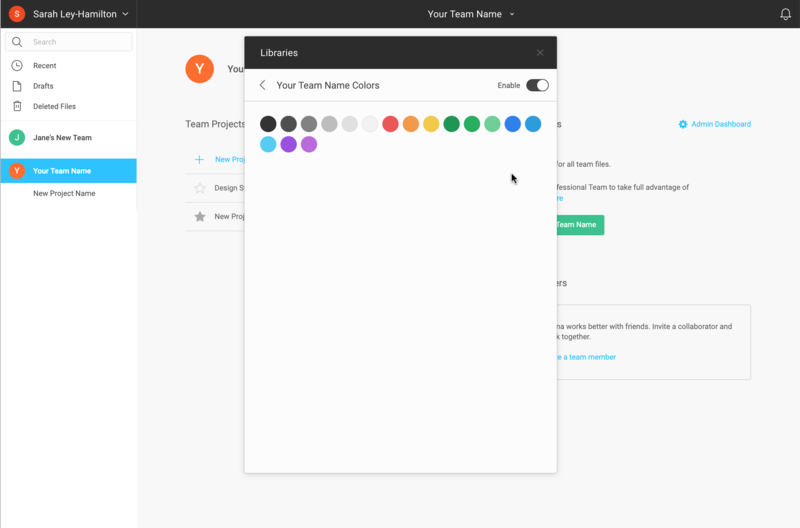 If you'd like to step your Figma experience up a notch and collaborate with other designers, then you can create Teams. 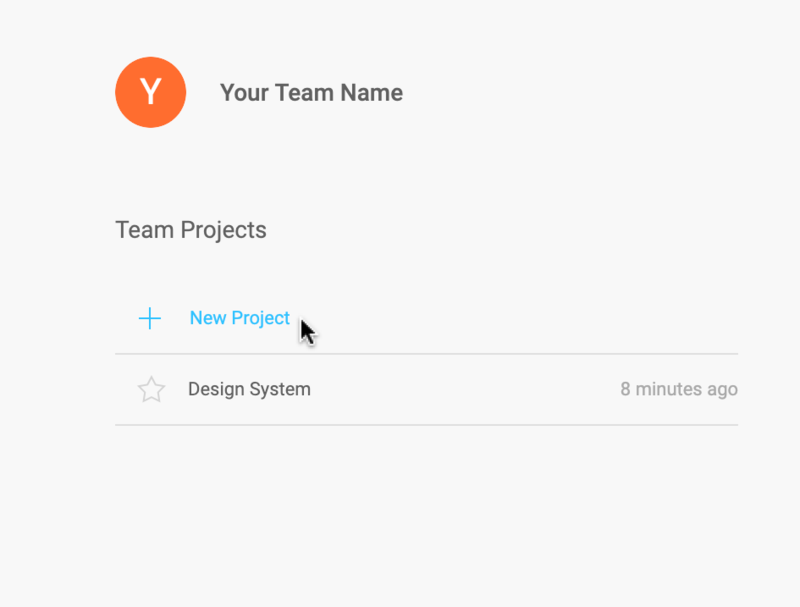 Teams allow you to create and share resources, as well as collaborate on files and projects, with the other members in your team. New to Figma and don't have an account yet? Check out our Creating a Figma Account article for detailed instructions. 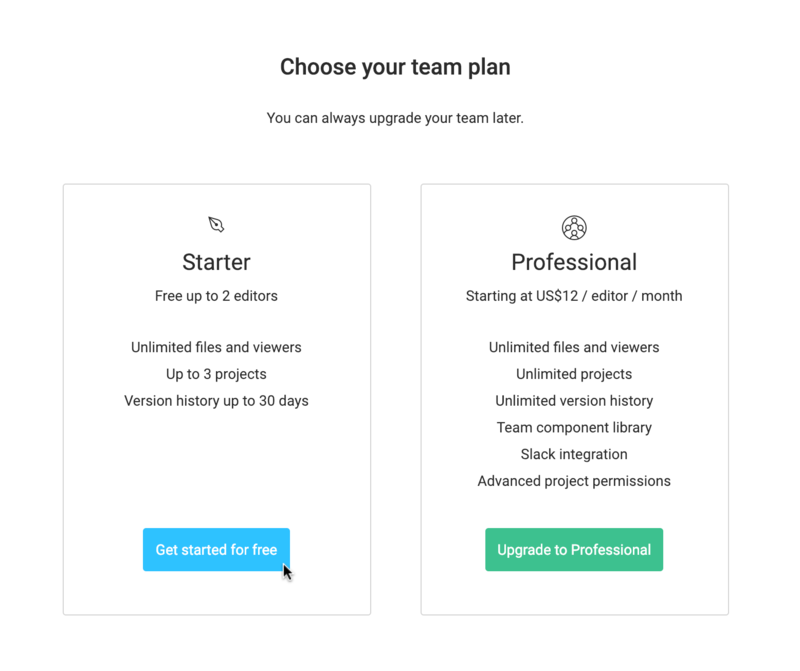 Before you Start: Figma has a couple of different plans available for Teams. For more information on what plans are available and how billing works, check out our Choosing a Figma Plan article. 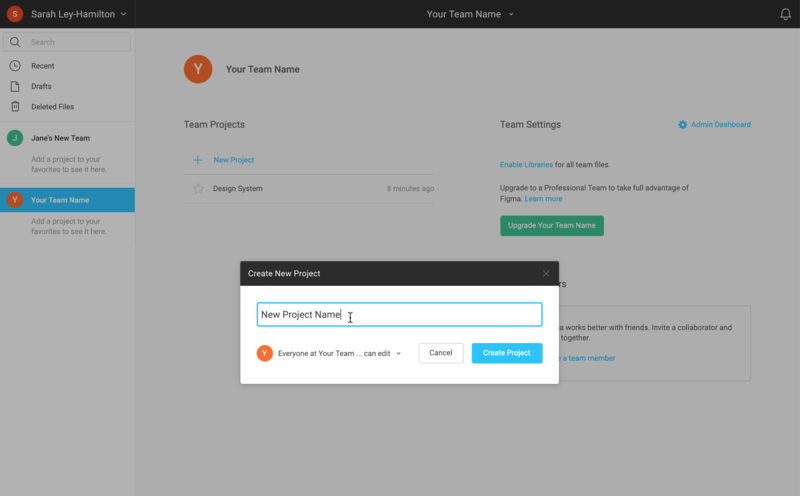 You can create a Team directly from the panel in your Workspace. You'll be prompted to select a plan. You can always upgrade your Team at a later stage. Learn more about Figma's plans and pricing in our Choosing a Figma Plan article. 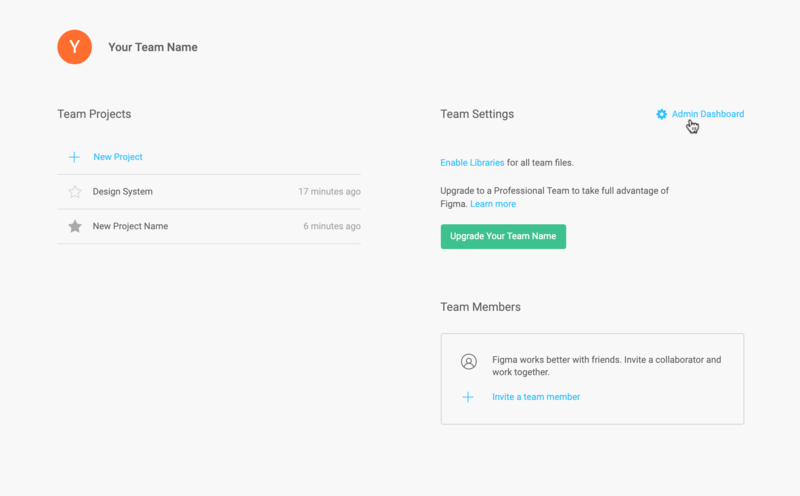 Once the Team has been created, you'll land on the Team Page. 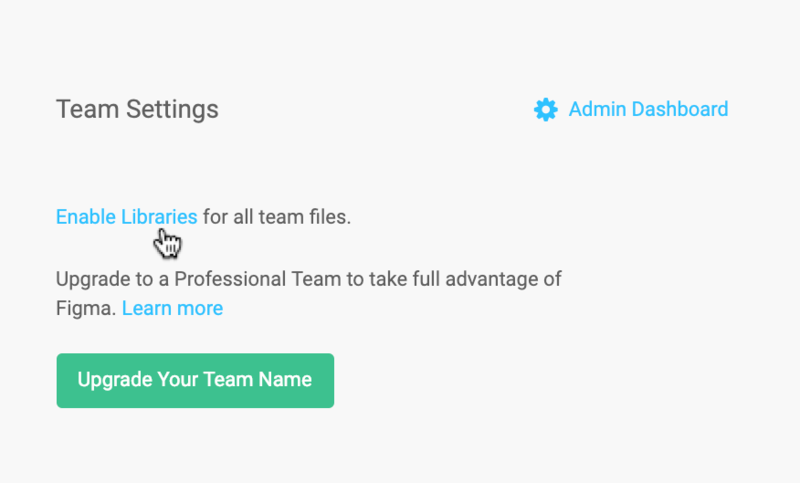 This gives you access to any team Projects, Settings, and Members within that Team. Tip! You can find this page by clicking on the Team name in the Workspace sidebar. Figma works even better with friends! To make the most of a truly collaborative design experience, you can invite your co-workers, conspirators, and comrades to your Team. You can determine what level of access each Team Member has to the Team, as well as any Projects or Files within it. Learn more about controlling access in our Understanding Permissions article. Click Invite to generate an email invitation. An invitation will be sent to the Team Member's email address. They will need to click the link in the email accept the invitation, before they will be able to view and access the Team and any Projects included. Note: If you're wanting to work with more than one Editor, you'll need to use Figma's Professional Plan. Find out more about what plans are available and what they include in our Choosing a Figma Plan article. Projects allow you to easily group related Files together in a single workspace. 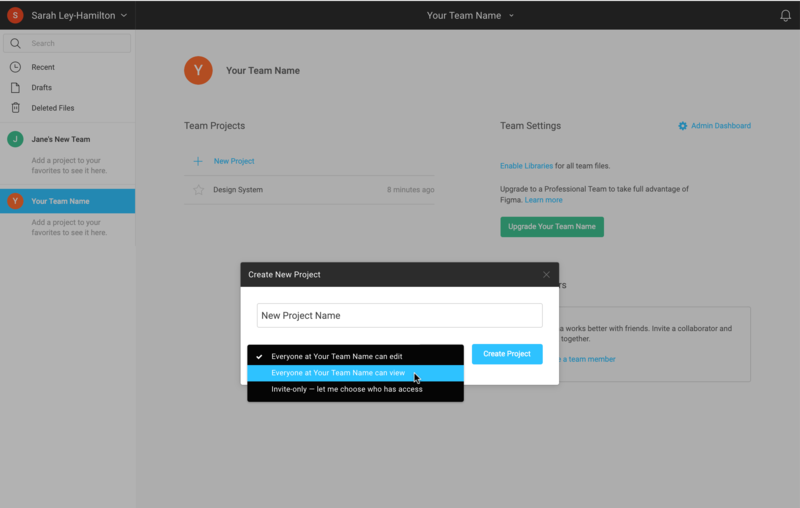 You can access all Projects within a Team from the Team Projects section. Tip! 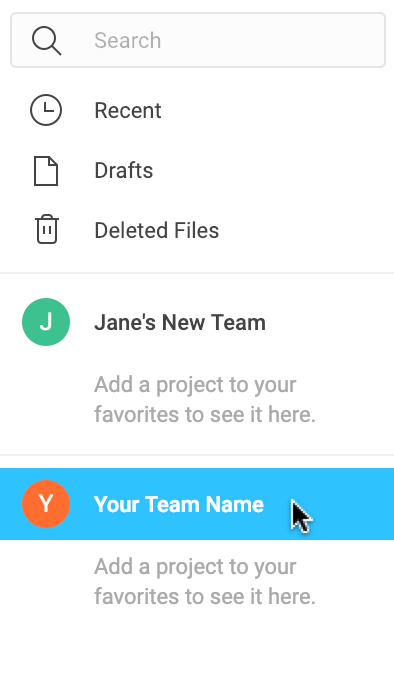 To make your current Projects even easier to access, you can click the star next to the Project name to favorite it. 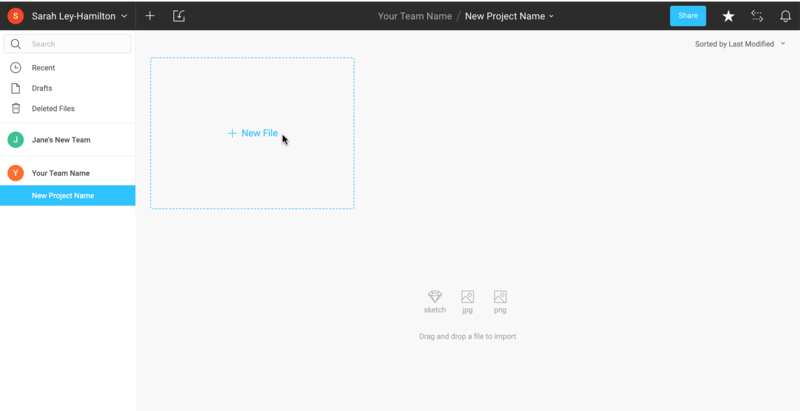 That Project will then be listed under the Team name in the Layers Panel. 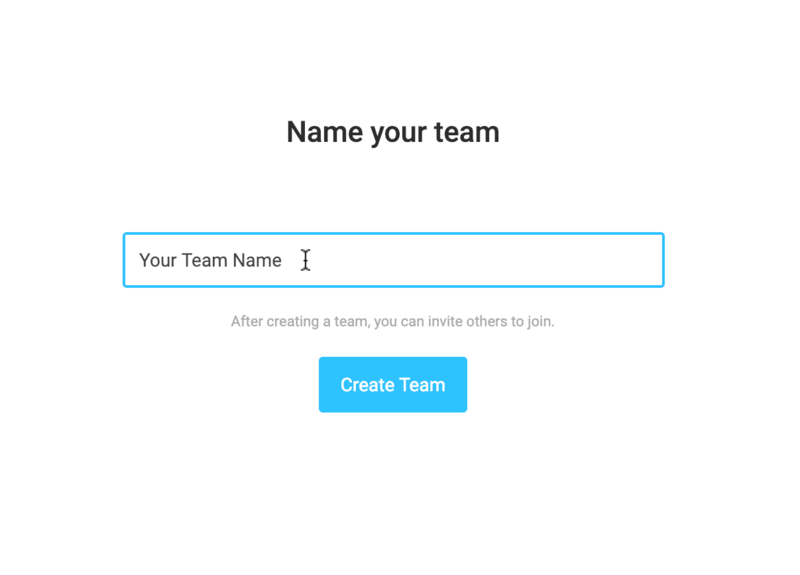 Click + Project to create a new Project within the team. Determine what access your Team Members will have to the Project. You can choose to make this Can View or Can Edit for all Team Members. Tip! 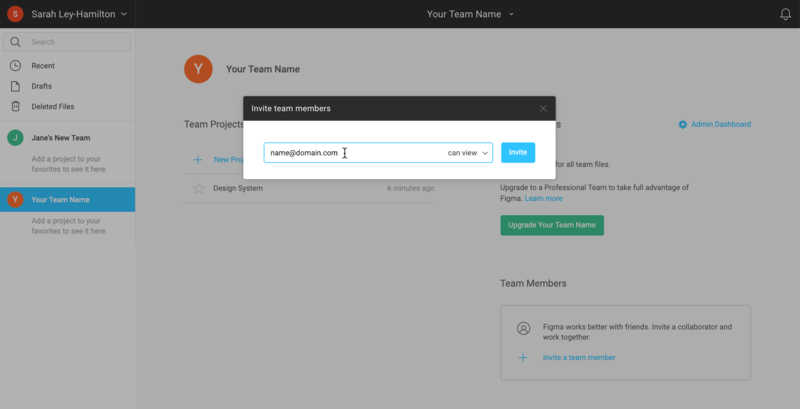 If you are on a Professional Team or using Figma Organization then you will also be able to make access to a Project by Invite only. Click Create Project to confirm. You'll then be taken to the Project Workspace, where you can create a + New File - or drag and drop external files into Figma to import. Learn more about creating, managing and sharing Projects and Files in our Working with Projects article. 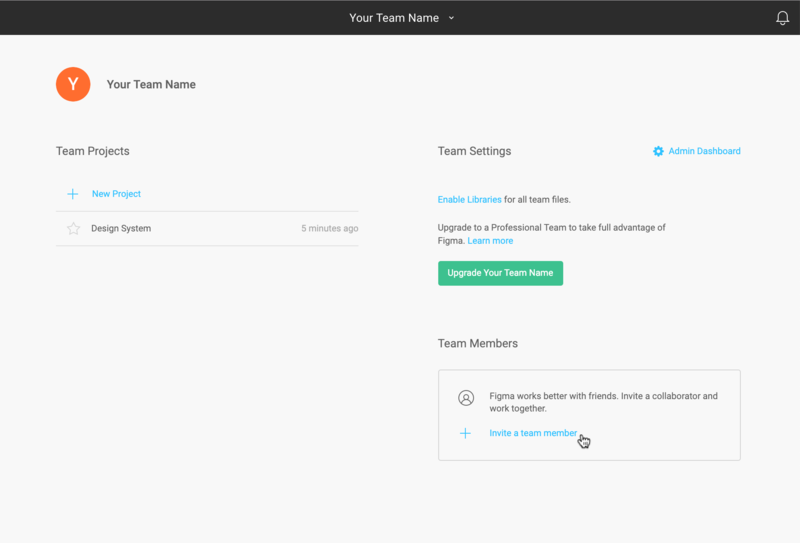 In the Team Settings section, you can make changes to the way your Team is set up. This includes your Team Plan, access to the Admin Dashboard (see below), and any Team Libraries or Shared Styles. If you're on a Starter plan then you'll also see the option to Upgrade <Your Team> to our Professional plan. You can view and enable Styles and Team Libraries within your Team. Learn more about using Styles and the Team Library in the following articles: Working with Styles, Team Library. 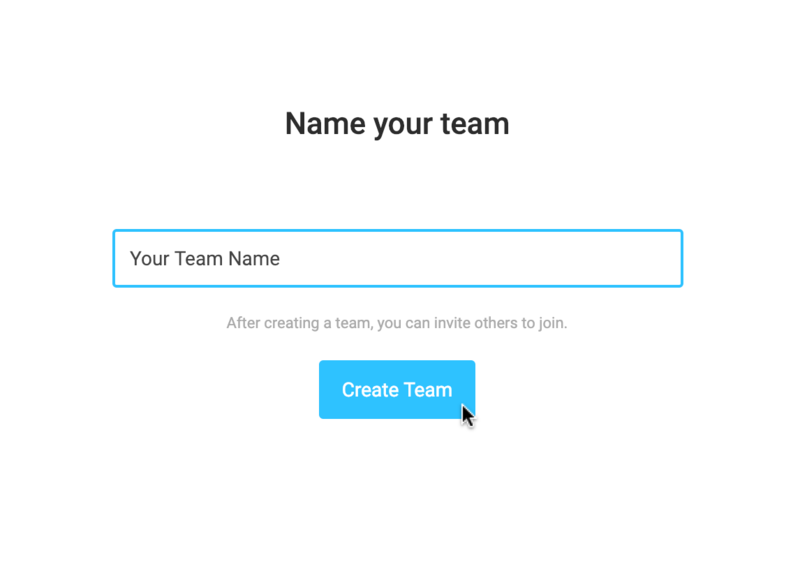 Click the "x" in the top-right corner of the modal to return to the Team page. As an Admin on the Team you will also have access to the Admin Dashboard. This can be found by clicking the Admin Dashboard link in the top-right corner of the Team page. The Admin Dashboard gives you a detailed overview of your Team's Billing, including your Plan, the number of Paid Editors you have and your Next and Last Invoices. You can also view more information about the Editors that are included in your Plan, including what access they have to Team Files and Projects. 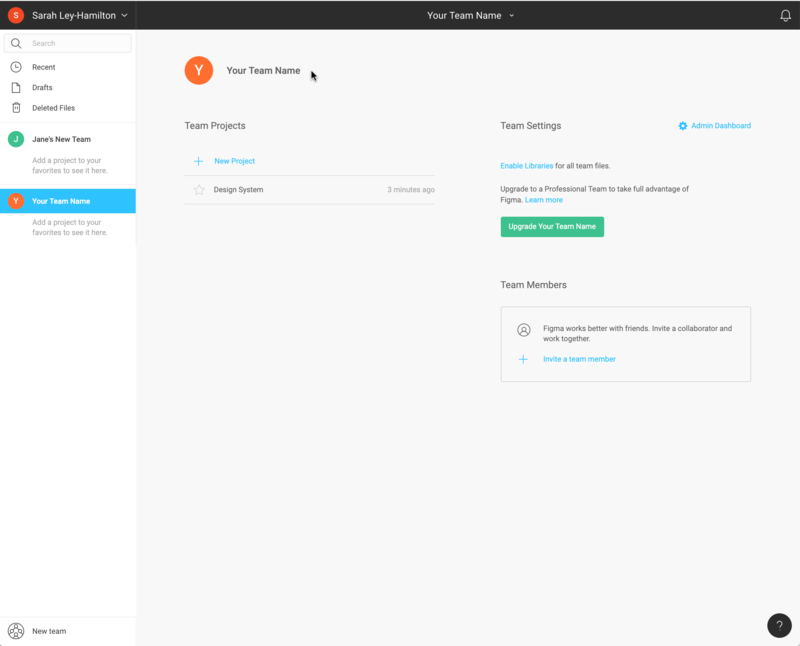 Learn more about managing your Team, Members and their Permissions in our Managing your Team article. For more information on viewing, understanding and upgrading your Billing, check out our Managing your Billing article. Components are UI elements that can be easily reused across your designs, like a button, navigation menu, gallery, or specific arrangement. You can reuse a Component by creating an Instance, which stays linked to the Master Component. This allows any changes made to the Master Component to be populated across any Instances. Learn more about Using Components and Instances. Styles are sets of properties that can also be reused across your designs. These could be color themes, font treatments for heading or paragraph text, effects that you’d like to apply to specific elements, or even Layout Grids. Learn more about Creating, Managing and Applying Styles. Your Team Library houses all of your Components. You can publish Components to your Team Library, so other collaborators can access use those Components in their designs. Learn more about using the Team Library in our Team Library article.